It is an exciting time to be in a science class! The rapid pace of innovation in research and technology expands our understanding of our world daily. In this course, you work alongside your peers and teacher to learn about principles and techniques used by scientists that guide their thinking and their research. Your experience will be interactive and collaborative – just as scientists are in their research. It is a primary goal of mine that I help you develop a foundational understanding of biology that will not only prepare you for work in future science courses, but enable you to function as scientifically literate citizens in your community. I want you to discover connections among science concepts and use the terminology, technology, and tools of scientists to enhance your understanding of the material. I am here to help you toward that goal! I will help you by sharing what I know about biology through the investigation in lab and by providing opportunities for you to develop and practice your critical thinking skills. It is my hope that you will come to love science as much as I do! These are the guiding goals that serve as the foundation for designing this course. To prepare students for upper level academic courses. To teach and practice fundamental lab techniques. To highlight biological processes and illustrate practical applications. To practice and improve upon standardized testing techniques. 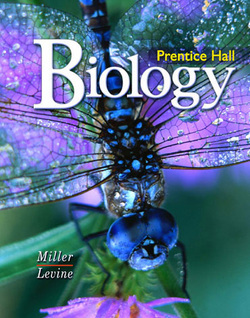 To expose students to the in-depth world of biology. To generate enthusiasm for life sciences. To encourage, develop, establish, refine, and implement necessary study skills. To provide students with an ability to seize the opportunity inside the challenge. * Homework should be turned in on time to receive credit. Late work is accepted only if the student was absent. ** Unit tests are designed to prepare students for the M-STEP exam. They will consist of multiple choice, true/false, matching, short answer, problems, and essays. *** All tests and quizzes will be collected and stored by the teacher. Any student wishing to review a completed test or quiz may meet with the teacher individually to discuss the test or quiz. **** Grades will be posted on Power School weekly. Please consult Power School if you have any questions about current assignments, test scores, or class totals. Power School also provides an email address to contact me with any questions.